Join the Mayim League Today! 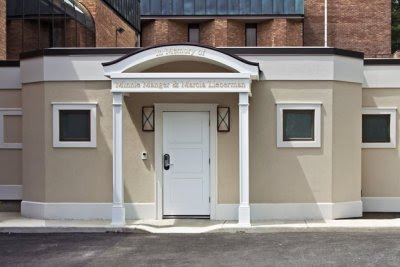 The Minnie Manger - Marcia Lieberman Mikvah is open for use by women! The keilim mikvah is open also. The hours for the keilim mikvah are from 7 am until two hours before sunset. The entrance of the keilim mikvah is located on the side of the mikvah building. For further assistance please contact the synagogue office. 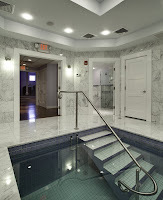 The Mikvah facility is located in a private area at the rear of the Synagogue building. It has two comfortable preparation rooms and a beautiful, well-maintained mikvah. There is a mikvah for keilim (utensils/pots) accessible from the outside of the building and open from 7am until one hour before sunset. 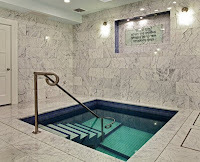 The Mikvah was constructed to meet the strictest specifications of Jewish Law and is open to the entire Jewish community. The mikvah is available for women seven evenings a week by appointment. Please call the appointment line - (203) 964-1928 at least 24 hours in advance. The mikvah attendant will call you back to schedule a time. If you need further assistance please contact the Congregation Agudath Sholom office. Please call at least 24 hours in advance. The Minnie-Manger/Marcia Lieberman Mikvah is for the exclusive use of women.